With 472 GWth installed at the end of 2017, solar heating and cooling was again the largest solar sector worldwide followed by Photovoltaics (402 GWp) and Concentrating Solar Power (5 GWel). 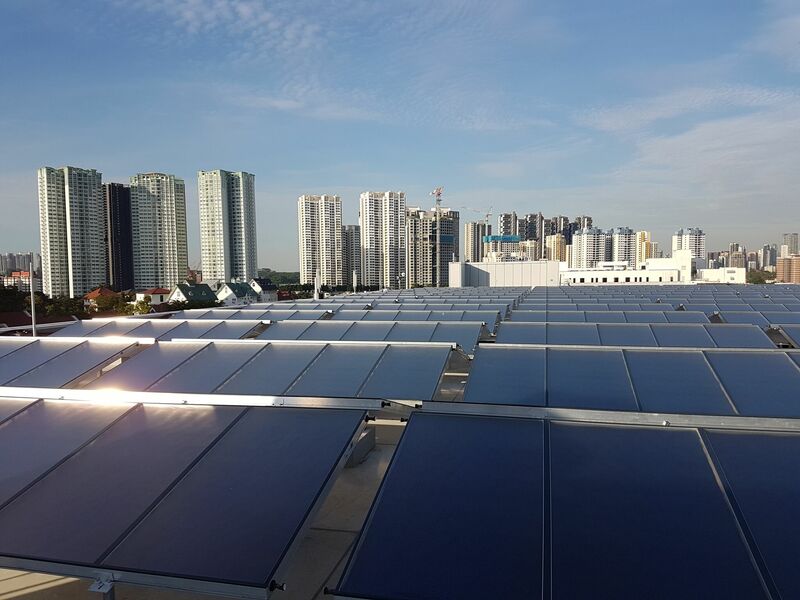 The new report, Solar Heat Worldwide, highlights as well the increasing use of megawatt solar heating and cooling solutions for large public and private buildings as well as factories. The annual report was launched at the end of May by the IEA Solar Heating and Cooling Programme (IEA SHC). Lead author is the Austrian research institute AEE INTEC. With data from 66 countries, it is the most comprehensive annual evaluation of solar heating and cooling markets worldwide. 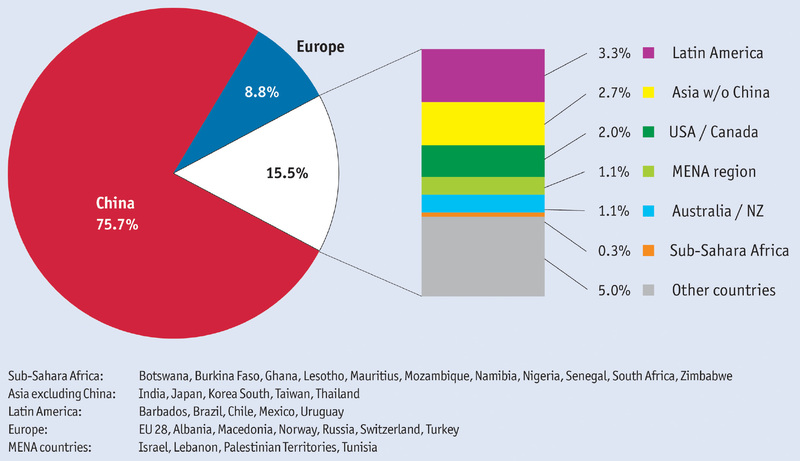 In 2016 (most recent available data), the global solar thermal sector employed 708,000 people and reached a global turnover of EUR 16 billion (USD 19.2 billion). “2017 was a record year for new solar heat for industrial processes (SHIP) installations driven by economic competitiveness, a strong supply chain and policies to reduce air pollution”, said Ken Guthrie, Chairman of the IEA SHC Programme. 124 new large systems were put into operation. India and Mexico had the highest number of new SHIP plants. SHIP is a global business – the largest plants came online last year in Oman, China and Afghanistan. The project in Oman is a 100 MWth parabolic trough collector field, placed in greenhouses. The solar steam is used for an enhanced oil recovery plant since early 2018. “More and more countries recognise that solar thermal district heating is the most cost-effective way to decarbonise the heating sector”, explains Guthrie. The first SDH installations above >500 m² (350 kWth) came online in France, Serbia, Australia and Kyrgyzstan. In total 15 large-scale solar thermal systems were added in 2017 mostly in the established markets as Austria, China, Denmark, Germany and Sweden. For the first time parabolic trough collector technologies were used for feeding energy into district heating networks. 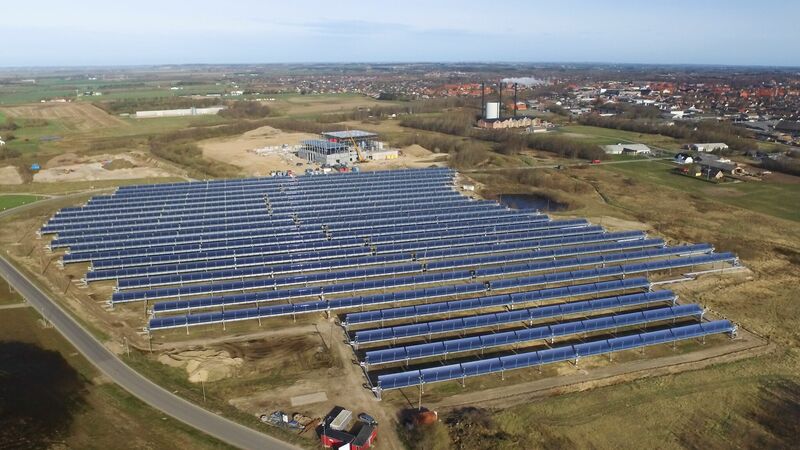 The largest installation started operation in Inner Mongolia in October 2016 (75,000 m2) followed by a Danish installation with 26,929 m2 in the municipality of Brønderslev (see photo). Due to increasing competition with other renewable technologies in the residential sector and the continuously low fossil fuel prices throughout 2017, new installations in China and Europe declined. The added global solar thermal capacity of around 35 GWth was down by 4.2 % in 2017. This downward trend of the previous year flattened out somewhat in China last year due to the rising demand for solar space heating and solar water heaters for large real estate projects. New installations in China declined by only 6% relative to 2016, which saw a 9% one-year market decline, following an even larger year-to-year contraction (-17%) in 2015. Market growth was recorded in India (26%), Mexico (7%) and Turkey (4%). All three markets have cost competitive residential solutions and no direct subsidy schemes in place. Therefore it is no surprise that India and Turkey have the lowest solar hot water prices with 2 to 3 €-ct/kWh according to the Levelised Cost of Heat calculations in chapter 5. On the high end of solar heat costs are France with 19 €-ct/kWh for small systems and 14 €-ct/kWh for multi-family houses, and in Denmark with 16 and 12 €-ct/kWh respectively. Collector technology depends on the region: Vacuum tube collectors dominated the global solar thermal capacity in operation (72%), whereas flat plate collectors are most common in Europe (83%). In 2016, solar thermal systems in multi-family houses, hotels and schools contributed 27% to globally produced solar heat. Solar water heaters for single family houses reduced their market share slightly. Swimming pool heating (4%) and solar combi systems (2%) were niche markets. The leading countries for air collector installations were Australia, Canada, Japan and the United States. Solar air heating provides typically 20 to 30% of the annual space heating demand of buildings and dries agricultural products. 1 Unglazed, glazed flat-plate and evacuated tube collectors with water as the energy carrier as well as glazed and unglazed air collectors are considered. 2 Glazed and unglazed water collectors are considered. First published in 2002, Solar Heat Worldwide 2018 gathered market data on installed capacities, costs and share of applications from 66 countries. The 93-page report includes chapters on commercial applications and Levelized Cost of Heat. Solar Heat Worldwide has a solid reputation as reference for solar heating and cooling data among international organizations including REN21 and International Renewable Energy Agency (IRENA). The study was again the main contributor for the solar heating and cooling chapters of REN21’s Renewable 2018 Global Status Report (GSR), which is one of the key policy adviser reports on renewables. 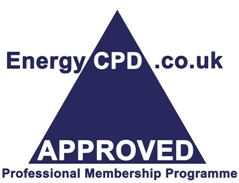 The International Energy Agency, Solar Heating and Cooling Technology Collaboration Programme (IEA SHC) is an international research and information programme on solar heating and cooling technologies. Over 200 experts from 20 countries, the European Commission and five international organizations conduct collaborative research on a wide range of topics from solar envelope solutions to future storage tank concepts and the integration of large-scale solar fields in district heating and cooling networks. SHC is one of the oldest Technology Collaboration Programmes of the IEA founded in 1977 and one of ten in the field of renewable energies. When it comes to district heating, Sweden has made the switch from fossil fuels to biomass and waste heat (see chart). As early as 2015, biomass provided 46 % of the energy in district heating networks across the country, followed by 24 % from waste incineration and 8 % from industrial excess heat. Fossil fuels came only to about 7 % of the around 175 petajoules, or PJ, produced in Sweden in 2015 (latest data available). Sorption chillers may still be a niche market, but Europe’s manufacturers reported rising demand for solar thermal cooling in Italy, Spain and the Middle East in 2017. Solar thermal numbers are on the rise because of three factors: the potential to reduce power consumption, including peak loads; the option to use natural refrigerants, such as water; and the ability to provide demand-responsive heating and cooling throughout the year. In early 2018, two German organisations agreed on a joint membership model to promote solar thermal air conditioning and cooling, a niche market in the country. The cooperation between the Green Chiller Association for Sorption Cooling and the Central Association for Refrigeration, Air Conditioning and Heat Pumps, or ZVKKW for short, is hoped to popularise innovative and sustainable cooling solutions. Favorable government initiatives toward renewable energy based power generation along with increasing demand for uninterrupted power supply will augment the thermal energy storage market. In addition, increasing customer focus toward energy efficiency coupled with the implementation of energy storage plans will further complement the industry landscape.